The Glow Research OptiGlow plasma system was used for increasing the wetability of gas permeable contact lens using room air as the processing gas. Wetting Angle Measurement* Wetting angle must be no more than 40º on one face of the test disc. Inspection Plan for Wetting Angle Measurements: 100% testing of the test discs. Manufactured test discs were used instead of lenses, so that a more accurate wetting angle measurement could be conducted. The polished faces are used to assimilate the polished front and base curve of a lens. Each test disc was installed into a CRT lens claw/vial lid assembly. For the sake of this validation, a maximum of 6 test disc/vial assemblies were placed on the plasma treatment chamber platform in various positions with the claw facing in a upward position and treated together with vial lid assemblies. 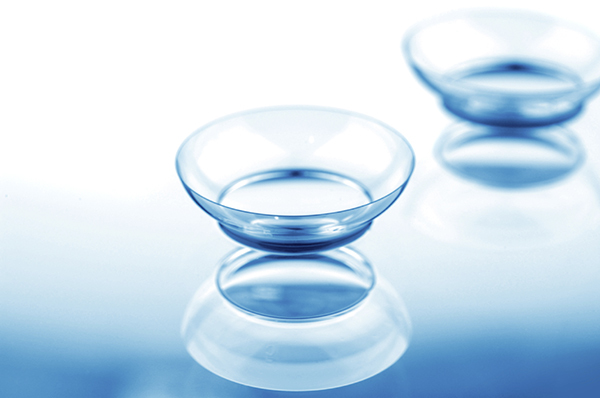 This validation passed the acceptance specifications of a maximum of (18) contact lenses were treated during one cycle. The test discs did not receive any special cleaning prior to plasma treatment. The central area of both faces of the test discs were measured for wetting angle, by the Analytical Department immediately after plasma treatment. The results contained in Table III (please contact Glow Research for complete report) demonstrates that the test discs assimilated a uniform and reproducible contact lens plasma treatment process that is under control to ensure contact lens product quality attributes. The Glow Research Optiglow Plasma System was validated by the documented test results and the fact that all of the test discs met the required specifications. *Please contact Glow Research for complete reports on this application.